You want Tv Magic to do your tv points! Why? Because we know what we're talking about! Analogue tv broadcasts are the humming of electricity. Digital signals well, are the same but with 0's and 1's. These RFs (radio frequencies) are transmitted from the tv towers out into the atmosphere for the purpose of receiving tv reception. This tv reception is picked up by your aerial and needs to be processed by a digital signal processor (your tv or digital set top box tuner) to turn those 0's and 1's into picture and sound. The quality of your tv reception depends on your antenna system (read more...) Digital signal as several properties that need to be ascertained when repairing/installing tv reception components. What's so good about digital signals? In the world of television and tv reception, the ailments of ghosting, snow & power line interference are gone. In the days of analogue, depending on where you lived, power line interference, snowy pictures and ghosting were next to impossible to combat, were expensive to do so or sacrifices were made. Digital signal still has all the weakness of analogue in terms of poor signal. Except there is a 'duplicate' signal in those 0's and 1's of digital signal that act like a buffer - increasing the chances of a crystal clear picture even when your digital signal is poor. Weak or strong signal = picture always perfect. Click here to book a digital signal expert! With the phenomenon of the digital cliff, you're always going to get a crystal clear picture even if your digital signals are at the low end of the spectrum. The first indicators are those little squares on the screen - tv channel pixels. Audibly, it's those clicking noises or break ups in speech - when a few words/sentences go missing in the show that you are watching. Complete drop out and messages of NO Signal, PLEASE CONNECT YOUR AERIAL CABLE etc are obvious signs of bad digital signal levels and quality. 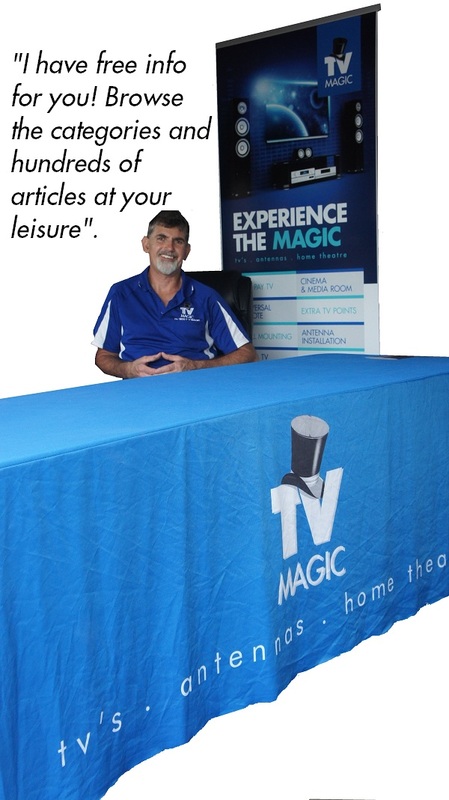 TV Magic technicians are professionally trained and qualified. We understand all the intricacies of all the digital signal properties which means we know what makes it work and what causes problems. Knowing this we can repair your tv reception as quickly and effectively as possible. We aim to fix your tv reception for the next 10-15 years and know how to do it!